Located in New Hampshire, we are a small family-owned kennel and have been breeding Labrador Retrievers for over 20 years. Our kids are now grown and gone and we have migrated back north to scenic Warner, New Hampshire to build our forever spot here for ourselves and the dogs. We raise sound English-style Labrador Retrievers. All of our dogs are registered with the American Kennel Club (AKC). Before we consider a dog as breeding or stud quality, they are judged for temperament and conformation and must pass OFA hip and elbow clearances and eye clearances. We do all genetic testing and screen all dogs we are breeding for EIC, PRA, CNM, HPNK, as well as echo cardiograms on male dogs to ensure that the best possible health backgrounds are being integrated in our breedings. 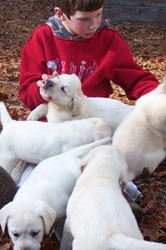 Our Labradors are part of our family; we raise our puppies in our custom whelping room that is sanitary and climate-controlled. The room has gentle music playing and a bit of traffic every once in a while to show off the new additions when it is safe for visiting. We do our best to place our puppies in a home that best suits each puppy by conducting temperament screening and aptitude tests. We spend an enormous amount of time with these puppies and have had great success in evaluating the "right fit" of puppy to family. My goal as a breeder is to produce a sound quality Labrador Retriever as close to the AKC standard to my liking. Every breeder has a preference to coat, size, movement, attitude, face and tail. The most important thing to remember in breeding is to keep in mind the purpose of the dog and ensure that they are physically able to get the job done for which they were bred. "His Majesty Bella Mare" (Dodo) is coming to Brookstone! 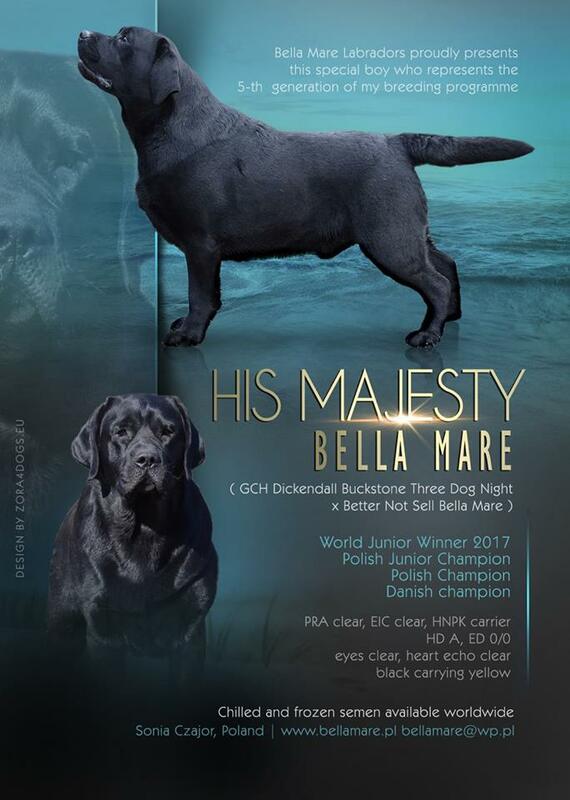 We are thrilled to announce that His Majesty Bella Mare (Dodo) will be standing at stud at Brookstone Labradors in New Hampshire starting December 1, 2018 through April 2019. Thank you Sonia for entrusting this boy to us.